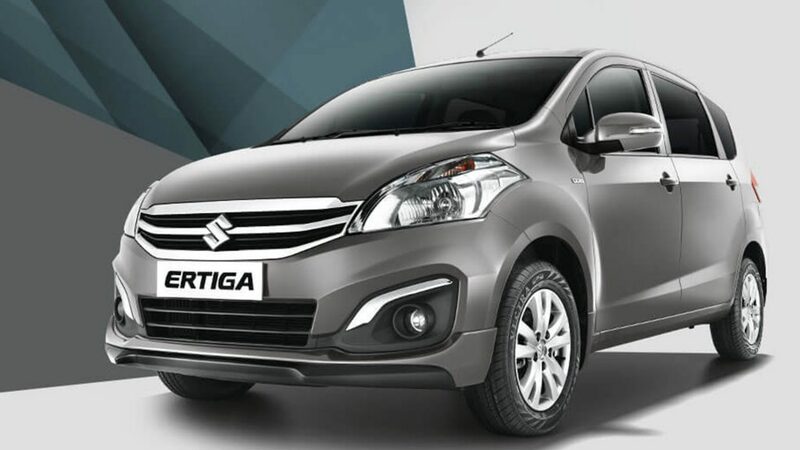 Maruti Suzuki has launched on 21 November 2018 a new Ertiga which has introduced itself with a bang in all its adaptations with many new characteristics model updates. It flaunts a bold personality in every crease, contour of its new representation. With usual seven-seater capacity, Maruti has introduced recliner seating for third row for complete comfort for every passenger in vehicle. Improved safety attributes including multiple airbags, hill hold technology with an electronic stability program for higher variants. Along with high-tensile steel manufacturing for rigidity overall safety, a Ertiga is a highly effective safe car for its occupants. A multi-information TFT display allows driver to be regularly updated with all information about vehicle. Air cooled cup holders automated climate control which is not available in the basic model, are all new quality added to the Maruti Suzuki Ertiga 2018. First the MT for petrol engine type, which comes with a progressive smart hybrid technology embedded in K15 engine. It has been engineered for an absolutely brilliant driving experience improved power torque response. It offers functions such as brake energy regeneration torque assist to improve fuel efficiency without any shortage in quality of performance. A mileage is calculated to be 19.34km/l for MT variant. It is now considering with best class features that is taking place with right configurations on seeing variants. The variant of this model is defined by its ability to help a driver achieve the same amount of performance from the vehicle without necessity to shift gears manually. This also includes K15 engine hence just as in MT, there is no compromise on performance due to improved mileage. Although fuel consumption of 18.69km/l is higher than type, it is significantly balanced out in ease of driving the amount of power torque transmitted. The final variant is a diesel vehicle with MT. A diesel engine does not offer an AT system but power deliverance along with a superb mileage makes it a very efficient vehicle. diesel engine has a fuel consumption rate close to 25.5km/l allowing a longer journey without need to check on remaining fuel amount. In fact, configurations are totally different so it is capable for operating on larger device specified inside. It usually grab attention on picking almost decision when seeing its new updates. All these engine types are available in 4 aspects of the model which are defined by internal external features. LXi/LDi is the most basic variant with few internal features missing the external made for those who want a docile looking car. A VXi/VDi variant is a model which offers a few extra safety measures along with improved external looks internal things conveniences. A next variant, ZXi/ZDi has significant improvements in internal external finishing. It adds plenty of cosmetic enhancements which people looking for more luxury can opt for. There are a few specifications which are missing but quite smartly have been implemented in ZXi+/ZDi+ variants of the new Ertiga allowing for a highly customized comforting model for driver passengers alike.